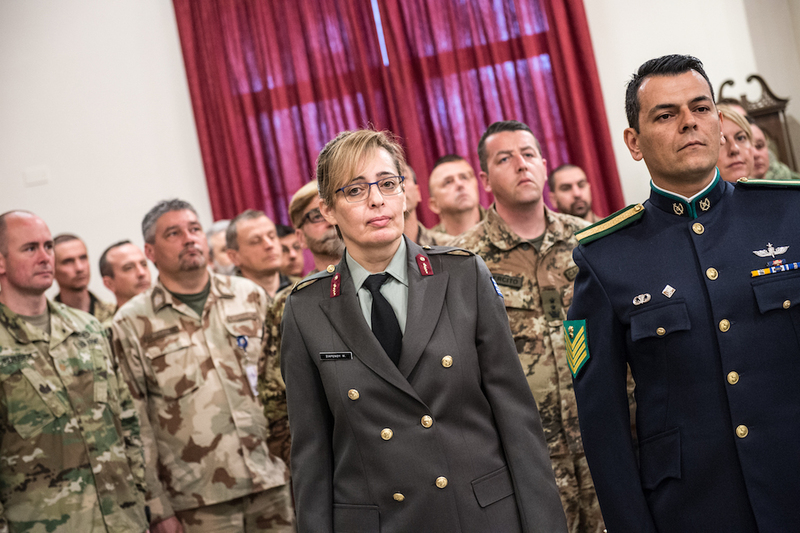 Solbiate Olona, 23 March 2017. 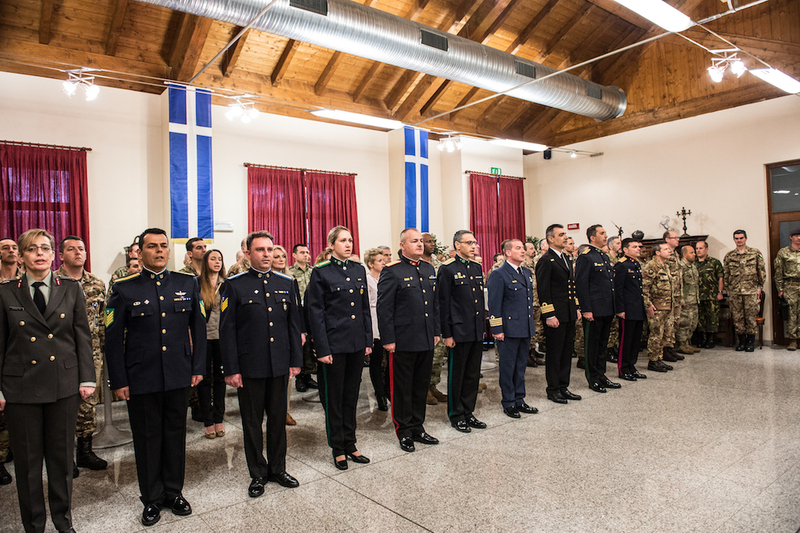 Today, at the “Ugo Mara” Barracks, members from 13 different Nations came together to celebrate the Hellenic National Day. 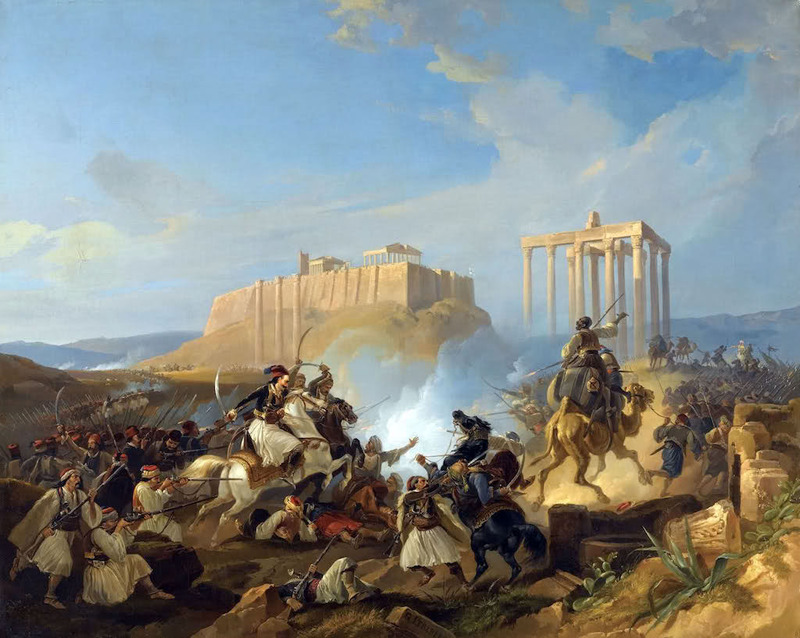 The event celebrated two important events in the Hellenic-Orthodox calendar: the announcement to the Holy Virgin that she would become the mother of Jesus and the anniversary of the 25 March 1821 which marks the beginning of the revolution that ended in 1829 with the establishment of an independent Hellenic state. In fact, 196 years ago, on March 25th, 1821, the Revolutionary Forces raised the standard of the cross and declared their freedom from the Ottoman rule. 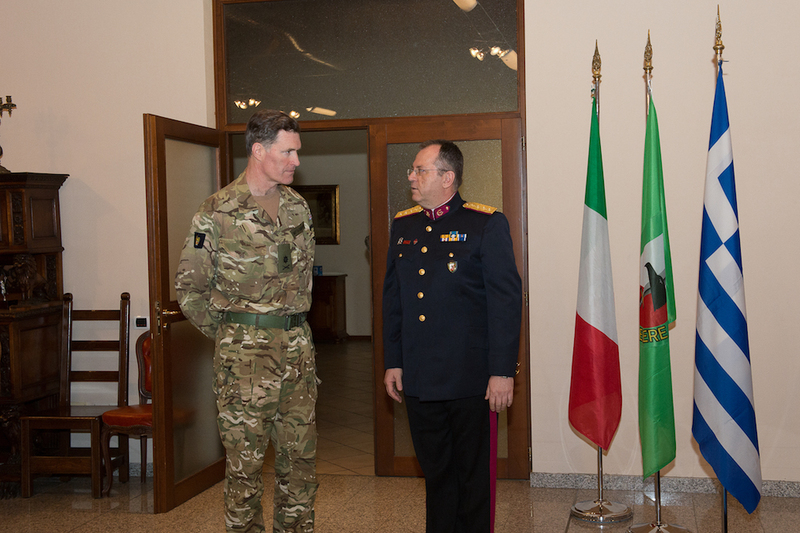 The NRDC-ITA Hellenic Contingent senior National Representative, Colonel Christos Koutsantas, led the celebration, in front of NRDC-Italy Deputy Commander Major General Sir Edward Alexander SMYTH-OSBOURNE, Reverend Theophylaktos, representatives from the Hellenic Community of Milan and NRDC-Italy personnel. 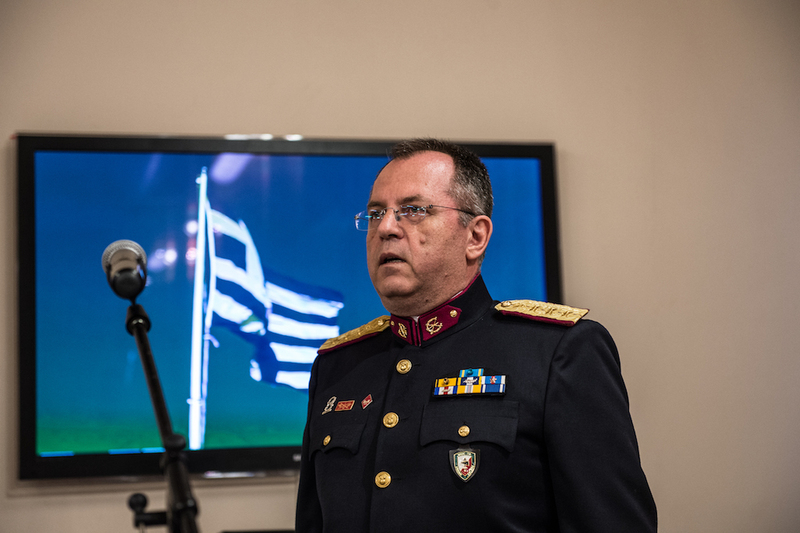 Colonel Christos Koutsantas in his speech focused mainly on the contribution of the Great Forces of that era for the Independence of Greece and to the common values and the unity of the Hellenic people when facing difficult times.